SPAR is committed to the development of its employees with our partners around the world running academies that offer specialised training programmes. In striving to fulfil our role as a responsible retailer, we aim to not only develop and grow people within SPAR through these academies, but also contribute to the communities in which we operate through community employment programmes. The SPAR Academies are centres for training and development that help to provide growth opportunities for SPAR employees, young professionals and students. SPAR Academies extend beyond obligatory training practices, providing opportunities for employees to grow in their roles through traineeships and apprenticeships. In this way, participants can improve their skills in specific roles, gain practical experience and develop an understanding of other fields of interest – truly allowing them to become retail and supply chain specialists. Various SPAR Partners are further seen to have community employment programmes. 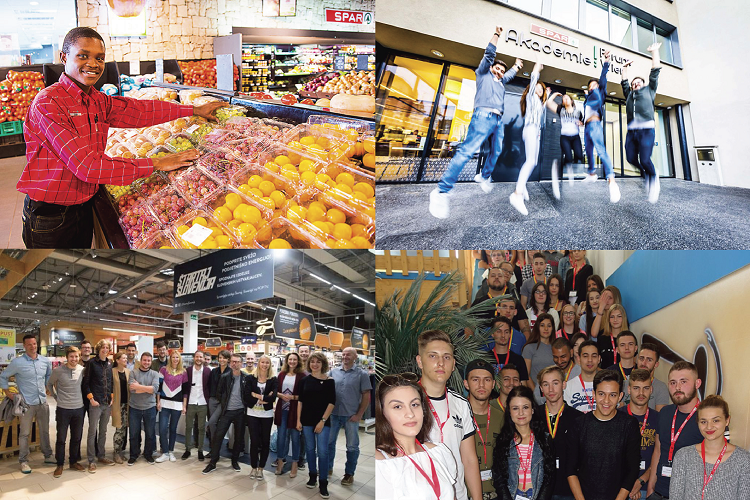 With these programmes, SPAR doesn’t only aim to inspire, engage and motivate people to work in the retail industry, but also give back to the communities it serves. Linking in with community involvement being a core SPAR value, our community employment programmes provide job seekers with the work experience and skills needed to successfully enter the job market. For more information on our dedication to training & development, please visit our Responsible Retailing People page or browse through our Pressroom for more SPAR Responsible Retailing initiatives.